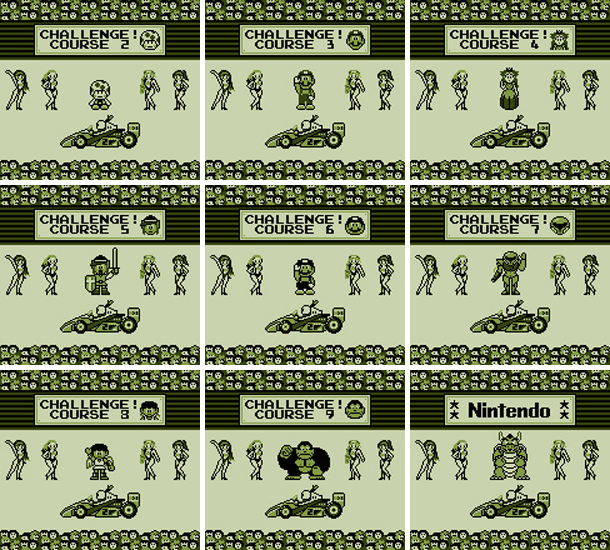 Choose between two F-1 racers and finish races in first place on circuits all over the world. In Grand Prix mode, complete 8 races against a lineup of computer controlled racers. Finish each race in first place to quality for the next race. The Time Trial mode lets you aim for the best time on each track. Play in Single mode for a solitary race, or Obstacle to race with other cars on the track. In Multi Game you can race against up to four human or computer opponents. 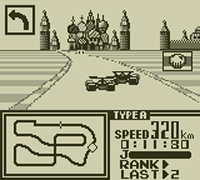 F-1 Race is the first Nintendo title to be compatible with the Game Boy 4-Player Adapter. You also see all of the characters again during the ending sequence. At the end of the ending sequence you will also be cheered on by Bowser from the Mario series.